ViewSonic has prepared a new tablet that has been specifically designed for the upcoming Windows 8 operating system. The novelty is called ViewPad P100. 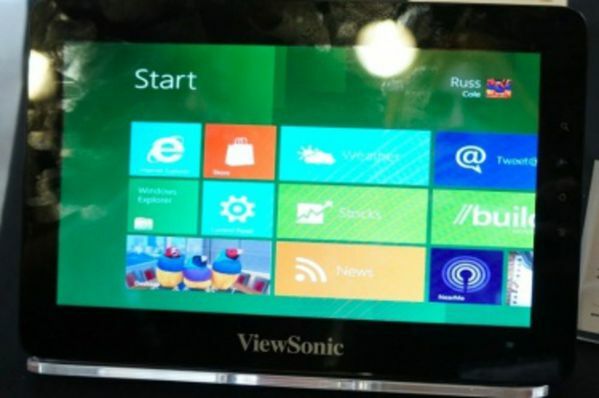 The new ViewPad P100 was shown for the first time at the MWC 2012. The tablet comes with a 10-inch IPS display with a resolution of 1280×800 pixels, a dual-core Intel N2600 processor at 1.6 GHz, 1 GB or 2 GB of RAM, 32 GB SSD for storage, microSD card slot, Wi-Fi, Bluetooth and 3G. The new tablet targets professionals and its price suggests it too – the Wi-Fi version of the ViewSonic ViewPad P100 will cost 799 USD while the 3G version will retail for 999 USD. The arrival of a Windows 8 designed tablet also hints of an upcoming launch of Windows 8 later this year.